These were both weekday challenges last year. I am combining them to a weekend challenge so we can have more photo days. These should be things you are organizing together or at least considering how to organized them at the same time as you work. Sorry if it seems like a lot between these posts. Really I think working on these at the same time will work out nicely. Several of you have already begun sorting a few of these categories. So we will be going over them quickly. KITS: Most kits come packaged in large Ziploc or cellophane baggies. 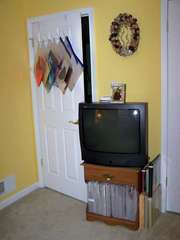 Kits are coordinated and work best if you can keep them together until you use them. They are great for crops those times when you want to produce something quickly. Since most kits will included a color scheme and multiple MGS I would suggest sorting them by theme or kit club you received them from. You can create you own kits if you wish out of your stash or you can purchase them from various companies and kit-clubs online or at your LSS. 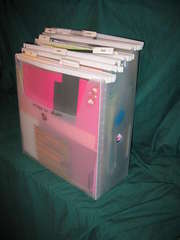 See last challenge for standard paper storage... for example you can have a vertical cropper hopper just for kits, etc. 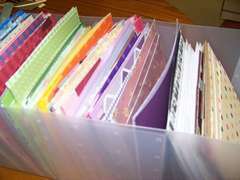 SCRAPS: Scraps are a nuisance but since most of scrapbooks are part "collector" then we tend to save them for a rainy day or we pawn them off on our kids. LOL. Scraps should be sorted like you sorted your PP and CS... if you did that by color then sort the scraps by color. If you did it by theme then ... sort your scraps by theme...etc. It must be at least 4.25"x5.5" to keep in my sorted scraps or I take my punches and punch flowers or hearts or leaves etc. and sort those into my die cuts. 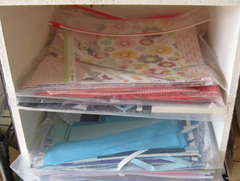 Fallowing this rule keeps my scrap storage organized by size and only usable scraps are saved. My punches and die cut shapes are there for me and my kids to purge at our leisure. 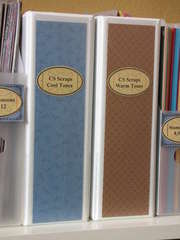 DIE CUTS: Extra die cuts and punches are another batch of little items to sort like chipboard. The majority of the time they are not too large (especially the extra punches). 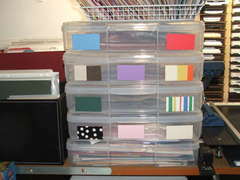 There are not many examples of how to store this on this site's gallery... here is an idea of a container I would use to store my smaller die cuts and extra punched papers... (like I said before I do tend to collect extra punched papers from my smaller scraps before I throw them away). To protect your die cuts and stickers and still keep them visible when you want flip through and access them, use clear storage pages. I used baseball card holders, 4 x 6 photo sleeve pages, 5 x 7 photo sleeve pages, full page protectors or special plastic pages made for accent storage. All these options were available at my local Wal-Mart and other discount stores. Any of these pages will fit in standard 3-ring binders. Does anyone else have a storage solution to share? 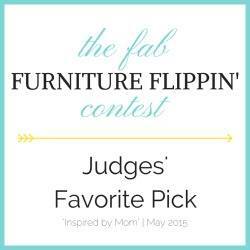 I am hoping this will be an easy challenge for you all tonight since we are tackling our paper storage this week.